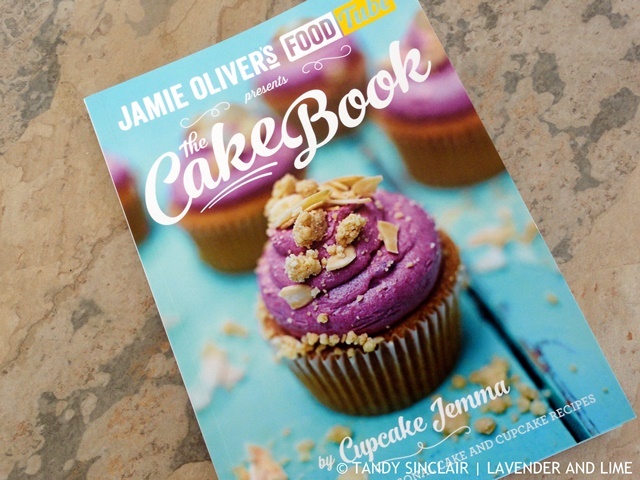 The Cake Book forms part of Jamie Oliver’s series of Food Tube books and is written by Jemma Wilson, better known as Cupcake Jemma. Jemma is the owner of Crumbs and Doilies and in her book she has given us 50 recipes, 10 basics and 10 for each season. Jemma’s key tips to baking are patience, determination and a “willingness to keep trying”. The book starts off with hints and tips for decorating, ingredients and equipment. The basics include recipes for various cupcakes, a chocolate ganache (p22) and meringues (p24). Spring recipes on my list are green tea cupcakes with sesame brittle (p46) and pistachio, lime and cardamom cake (p52). Summer recipes to try include rosemary, honey and yoghurt loaf (p64) and super-lemony meringue cake (p70). For autumn, spiced pumpkin cupcakes (p86) are appropriate as well as bonfire cupcakes (p98). In winter one must make hot toddy cupcakes (p106) and a ridiculous chocolate cake (p114) to celebrate the holidays. Despite our seasons being different to the UK I think I will make Christmas puds (p124) as Jemma describes them as being perfect party treats and this year we have been invited to a Christmas party. Even though this book was sent to me by Penguin Books South Africa to review, I am not allowed to publish a recipe from the book due to it being an international publication. I did however test the recipe for lavender caramel cupcakes (p72) making the lavender infused milk (p32) with my lavender and rooibos tea. The infused milk recipe calls for 200mls of milk, and the cupcake recipe uses 45mls of the milk, so I made some ice cream with the rest of the milk which my step son referred to as ‘interesting’. The lavender caramel is an adaptation of the salted caramel (p28) recipe and I am going to adapt this recipe for sure. I made half of the recipe as is my norm, and it made 8 cupcakes where the recipe states it will make 24. I also halved the recipe for the buttercream icing and I have a lot left over. I have frozen it hoping that with some gentle defrosting I can use it again as it was very tasty! As you can see, my piping skills need some work. This is a great book for anyone wanting to add a few new cupcake recipes to their repertoire. I will make some of that one soon! Lol. I love the “interesting” feedback. I get that sometimes from my niece. The book does sound worth having. That lavender infused milk sounds interesting (not in the way I suspect your step son meant) and I think the lavender ice cream would have been delish. Hi Tandy, your cupcakes sounds delicious, especially the frosting! HI Tandy! Great book. I just find cupcakes to be so versatile. Not a whole piece a cake, just a taste. Perfect with a cup of lavender tea. 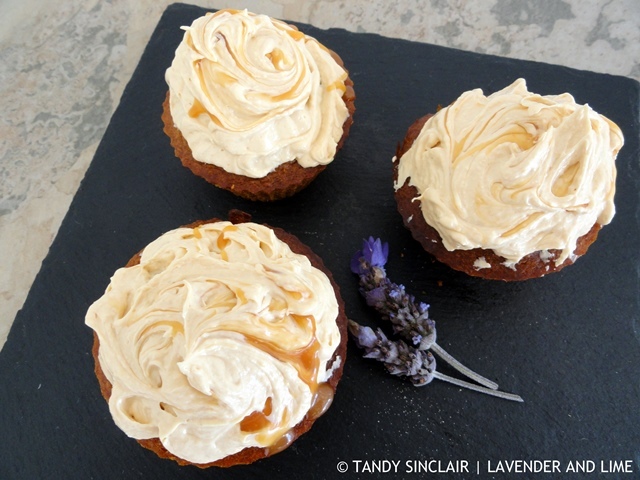 And those caramel lavender cupcakes looks amazing. Would love to sample one! Sounds like a fun cookbook! THere are so many unique flavors in there. Sounds like some real winners in this lovely book Tandy. You would love it Mandy!